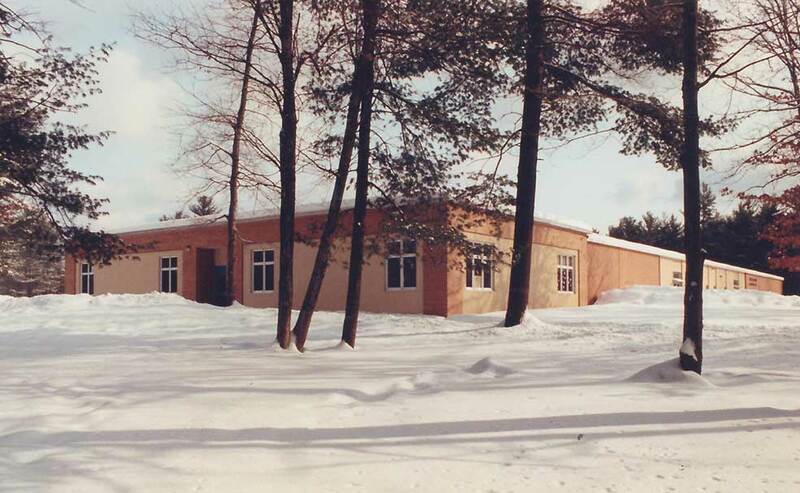 In 1989 the Franklin, New Hampshire school district built a large new middle school, and undertook small additions of several classrooms each at its two elementary schools, Bessie Rowell and Paul Smith. The additions were designed to blend into the overall fabric of the large, low buildings, providing needed space without impacting the existing organization of the schools. The Paul Smith addition uses the same pink faced brick as the original construction for continuity, while introducing synthetic stucco panels and stepping the building out to break the long straight line of the facade. Project involvement: Banwell White Arnold Hemberger & Partners, Inc.: Architects of Record; Pamela Hanson; Project Architect responsible for design development and construction documents while with Banwell White Arnold Hemberger & Partners, Inc., Architects.